The first 10,000 MyMax stickers, which enable full NFC functionality to be added to any Bluetooth mobile phone, are now in production and field trials are expected to take place before the end of this year. The first volume production run of French start-up Twinlinx‘s MyMax stickers is now underway, with a total of 10,000 units due to be delivered during the course of September, October and November. Bouygues Telecom is set to field test 1,000 stickers in Nice, as part of the French Cityzi project, and several thousand more will be delivered to Morpho which, under its previous trading name of Sagem Orga, signed a deal with Twinlinx last year to offer the stickers to its customers under the SIMply Mobile Wallet brand name. 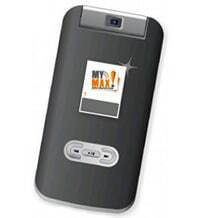 MyMax stickers are able to communicate with both contactless readers via NFC and with the phone via Bluetooth, enabling full NFC capability to be added to any Bluetooth handset, including over-the-air provisioning and management. The stickers incorporate three separate chips plus an on-board battery to power the Bluetooth circuitry. The first handles the device’s contactless interface, the second handles the Bluetooth interface with the mobile phone and the third acts as the secure element. And, because the secure element is separate to the other chips, MyMax issuers are free to choose which chip they want to use for the secure element. These include a wide range of standard contactless smart card chips that can support multiple applications and have already passed Visa/MasterCard certification processes. MyMax stickers currently cost between €30 and €40 but, Twinlinx’s CEO Jacek Kowalski has told NFC World, the price is expected to drop to between €20 to €25 from 2011. A custom chip which is currently under development should then see the cost fall to around €10 in 2012. Development kits are available today while orders placed now for volume quantities of MyMax stickers suitable for field testing will be ready for delivery by November. I would love to know who big this sticker is in depth, does it have to go on the external case of the phone or could it stick inside the back of the rear case? How long will the battery life be and what happens when it runs out? Cool idea tho…..